Picaridin’s efficacy with mosquitos is quite impressive, after 10 hours, the efficacy of the Saltidin®-solution (Picaridin) remains at 99%. When it comes to ticks, Picaridin’s efficacy with a 20% concentration resulted in 2.5 hours of efficacy 5 times over DEET’s efficacy of just 30 minutes. 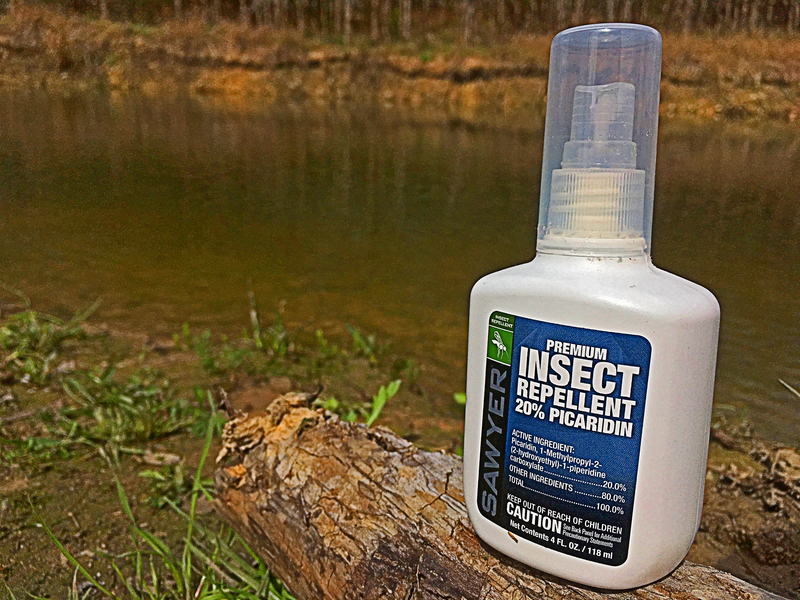 Sawyer offers theirPicaridin repellents in a 20% Lotion which has up to 14 hours of protection from mosquitoes and ticks, including mosquitoes carrying West Nile Virus. Repels biting flies, stable flies, black flies, gnats, chiggers, and sand flies for up to 8 hours. Sawyer also offersPicaridin repellents in a spray option as well. Offering 12 hour protection from mosquitoes and ticks, including mosquitoes carrying West Nile Virus. The spray repels biting flies, stable flies, black flies, gnats, chiggers, and sand flies for up to 8 hours. 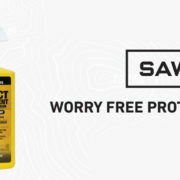 So the next time your planning a camping trip, vacation, picnic or even just working in your yard, head over to your local Bass Pro Shops, or Cabela’s and pick up some Sawyer Products. 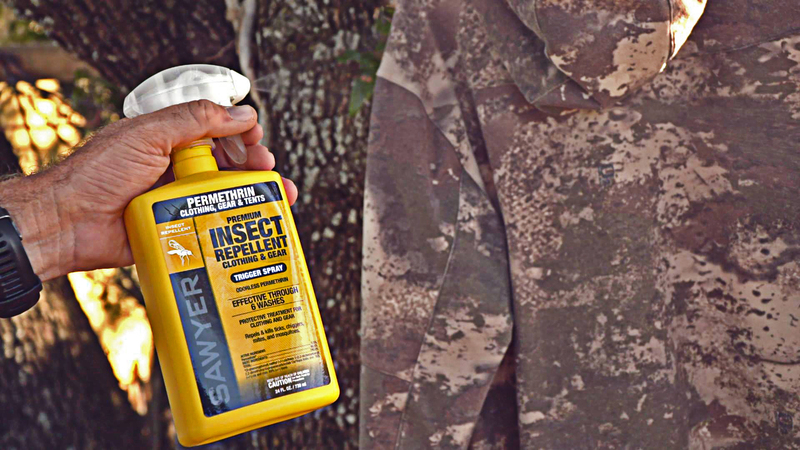 We hope this article has informed you on the wonderful benefits of both Picardin and Permethrin and changes the way you defend yourself, gear, and loved ones from disease and those pesky insects. Further, regarding all key male demos from January 2018, Pursuit opens the year with margins that significantly separate the network from its nearest competitor. Regarding these unprecedented surges, representatives for America’s most accessible broadcast and digital outdoor platform point to organic growth, timing and promotion. He added that Pursuit’s leadership position in the delivery of high-definition programming was a valuable asset in drawing and retaining both viewers and the most successful outdoor television producers in the business. “Reciprocal promotions with massive print and online audiences, to include the likes of Deer and Deer Hunting and Ducks Unlimited, have also enhanced awareness and added viewership for Pursuit,” he concluded. Pursuit Channel showcases dozens of leading outdoor television series, including: Gus Congemi’s Live the Wildlife; Just Killin’ Time; Jimmy Houston Outdoors; Trailing the Hunter’s Moon; Ducks Unlimited Television; Deer and Deer Hunting, Destination Whitetail, Land of Whitetails and Modern Shooter; Canadian Whitetail TV; Drake’s Migration Nation; The High Road with Keith Warren; Americana Outdoors; Deer Gear TV; Yamaha’s Whitetail Diaries; The Bear Whisperer; Cabela’s Fisherman’s Handbook and Ranger Boats’ IFA Redfish Tour; the Collegiate Bass Series and Texas Team Trail; Turkey Call and Save the Habitat. Save the Hunt. ; Gamekeepers of Mossy Oak and Mossy Oak Country Roots; Wallhanger TV; Winchester and Drury’s Natural Born; American Airgunner; Freedom Fighters; Military Collector’s TV, Professional Shooting Clay Association; Doug Koenig’s Championship Season; Reaper Outdoors; The American Way; Love of the Hunt; Shoot Straight with Chad Shearer; Predator Quest; Open Season; The Best of the West; On the Water with Hank Parker; Primal Instinct; Ultimate Outdoors with Wayne Pearson; Sporting Dog Adventures; Majesty Outdoors; Jason Peterson into the Wild; Trigger Time; Where in the World is Colorado Buck; Higdon Outdoors TV; The Grind Waterfowl TV; Blitz TV; Bob Redfern’s Outdoor Magazine; Trophy Hunter TV and Blue Collar Adventures. 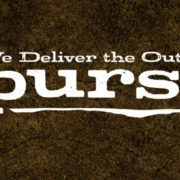 Pursuit Channel, www.pursuitchannel.com, a leader in high-definition delivery, is active on DIRECTV HD (604 PRST), AT&T HD (1644), DISH Network (393 PRST), Fios by Verizon (818) and Centurylink Prism (1677). 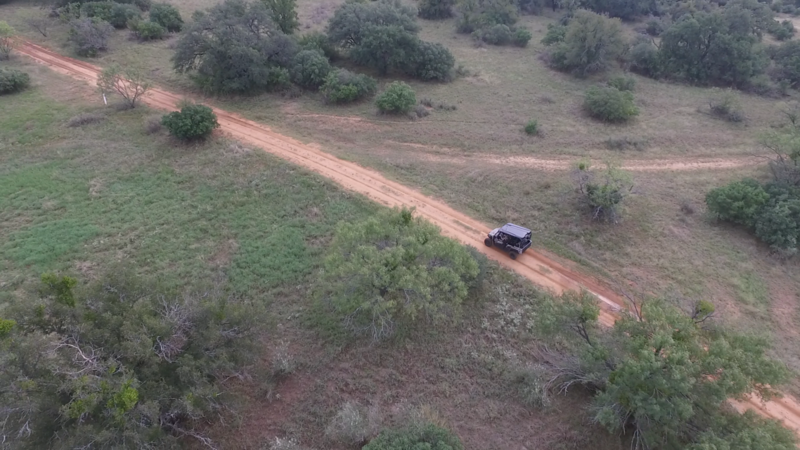 Mobile and desktop enthusiasts will find the network digitally at www.pursuituptv.com. Thompson/Center Arms today announced that it will launch its new “T/C Master Hunter” Facebook sweepstakes on March 15, 2018. The sweepstakes begins on March 15, 2018 at 11:59 p.m. (EST) and ends on August 22, 2018 at 11:59 p.m. (EST). 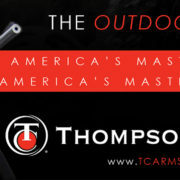 Thompson/Center will give away a T/C Compass™ rifle to one winnereach month over the course of the sweepstakes term. Thompson/Center fans are encouraged to locate the T/C Master Hunter picture profile frame on the Thompson/Center Facebook page and follow the instructions in the Official Rules to enter the sweepstakes. 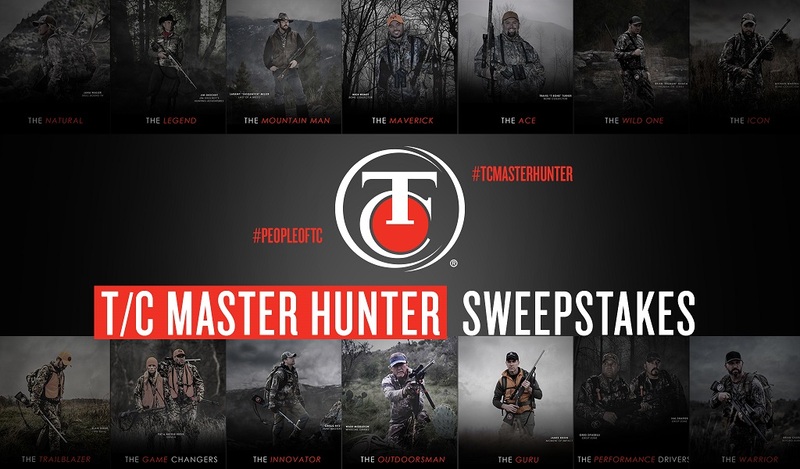 The “T/C Master HunterSweepstakes” is part of Thompson/Center’s larger multi-media branding campaign, which demonstrates why Thompson/Center’s Pro Hunters prefer Thompson/Center Arms’ products due to their dependability, innovative features, and performance. The new campaign will be run amongst a variety of advertising mediums, including print, web, broadcast, and social media. To enter the “T/C Master Hunter Sweepstakes,” visit Thompson/Center Arms on Facebook. No purchase is necessary to enter or win. To learn more about Thompson/Center Arms products, please click here. 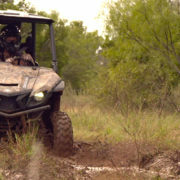 Yamaha Motor Corp., USA, announces its annual National Hunting and Fishing Day (NHF Day) support this year, which includes giving away an all-new 2018 Wolverine X4 Side-by-Side (SxS) in Realtree camo (pictured above) through an online sweepstakes at www.YamahaOutdoors.com/NHFDay. Yamaha’s annual sponsorship of NHF Day is aimed at raising awareness and support for outdoor recreation and conservation. This year’s sweepstakes features the 2018 Wolverine with an all-new quiet and comfortable 847-cc twin cylinder engine. 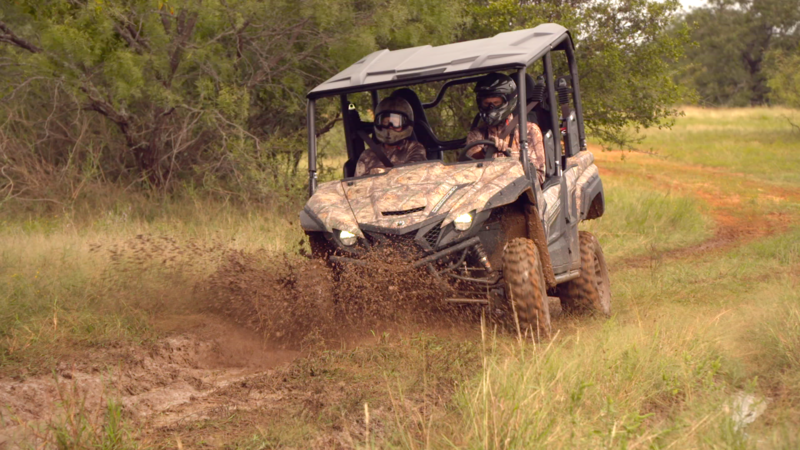 With Proven Off-Road handling, especially on tight, technical trails, combined with Yamaha’s legendary Real World Tough durability and reliability, the Wolverine X4 is the ideal hunting, fishing and all-around recreational four-seat SxS vehicle to REALize Your Adventure. The sweepstakes is open to men and women, ages 18-years-of-age or older, through the end of October 2018. NHF Day serves as the most effective grassroots effort ever taken to promote outdoor sports and conservation. Yamaha, through its relationships with organizations such as Ducks Unlimited, Rocky Mountain Elk Foundation, Safari Club International, Buckmasters, Tread Lightly!, National Wild Turkey Federation and NHF Day, among others, is a continued supporter of conservation efforts for outdoor recreational enthusiasts. Scheduled annually on the fourth Saturday of September, this year NHF Day’s celebration of hunting, fishing and conservation is set for September 22nd. One lucky entrant, 18 years-of-age or older, will win a 2018 Yamaha Wolverine X4, a vehicle Assembled in the USA featuring Proven Off-Road performance. Powered by an all-new, ultra-quiet 847cc inline twin engine, the Wolverine X4 delivers superior handling, especially on tight, technical trails, combined with legendary Real World Tough Yamaha durability and reliability. Powered by the all-new twin cylinder engine, the Wolverine X4 sports a compact, nimble chassis featuring the most versatile cab in its class with industry-exclusive stow-away full-size rear seats for expanded cargo capacity on demand. Total approximate retail value is $16,899. No purchase necessary. Sweepstakes ends 11:59 PM Pacific Standard Time on October 31, 2018. Winner will be determined by random drawing. For more information on National Hunting and Fishing Day, visit www.NHFDay.org. Complete rules, entry details and additional information are available by visiting www.YamahaOutdoors.com/NHFDay. Conquest Scents’ “DANGER ZONE” Keeps Animals Out! Ever come home to find an unwanted critter in your yard? Or witnessed a pack of raccoons ransacking your trash? Squirrels doing the death climb to get to your bird feeders? What about wild hogs tearing up your landscaping? Conquest Scents has found a solution to these problems in their “Danger Zone” product line of scents. “Danger Zone” creates a scent barrier to keep deer, coyotes, and other larger animals away from your property by using instincts of animals to avoid predators. One of the most common means of animal communication is their scent. Some animals will use their scent to mark their territory or to tell other animals to stay away. For example, if you have a garden that pesky deer keep using as their midnight snack, rub some of the “Danger Zone” onto a nearby area. When the deer gets too close, they can smell and realize that there is a predator nearby and they will flee and find someone else’s garden to munch on. Conquest Scents‘ “Danger Zone” come in two different “sizes” so to speak, Small and Large Barrier. The Small Animal Barrier model deters rabbits, squirrels, mice, cats, woodchucks, skunks, raccoons, opossum, small dogs and more. The Large Barrier model works on Deer, Dogs, Coyotes, Elk, Hogs, Bobcats, House Cats, Raccoons, Rabbits, Squirrels, and more as well. The scent of “Danger Zone” is encapsulated and preserved in wax with real urines from predators until you apply to a surface of an area to create a barrier that is animal free. Since it is a wax base, there are no spills, leaks, or mess you have to worry about, and rain or dew will not affect it. You can apply “Danger Zone” to rocks, posts, landscaping, building foundations, or anywhere you wish to keep animals away. We recommend that your reapply every 3-5 days. 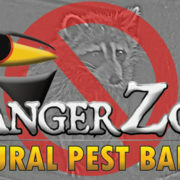 To learn more about Conquest Scents’ “Danger Zone: Small Animal Barrier” click here. To learn more about Conquest Scents’ “Danger Zone: Large Animal Barrier” click here. If you want to know about Conquest Scents’ flagship scent “EverCalm” for deer and elk hunting click here. https://www.deergeartv.com/wp-content/uploads/2018/03/DG_Article-Banner.jpg 361 1030 Deer Gear TV https://www.deergeartv.com/wp-content/uploads/2017/08/CebelasDeerGearTV_logo.png Deer Gear TV2018-03-05 14:37:482018-12-04 11:39:33Conquest Scents' "DANGER ZONE" Keeps Animals Out!